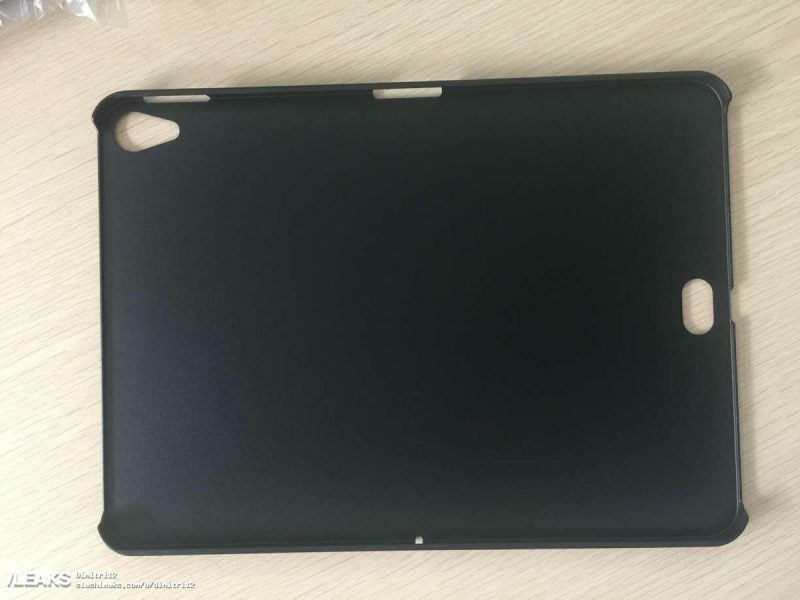 Alleged leaked images of a case for one of the upcoming redesigned iPad Pro models were shared by Slashleaks today showing a mysterious new cutout on the back. The images reveal a pill-shaped hollow on the rear of the case that is horizontally aligned with the Lightning connector. The case images hark back to a July Mac Otakara report suggesting Apple has relocated the Smart Connector on its upcoming redesigned iPad Pro models from the side to the bottom near the Lightning port. Shortly after the Mac Otakara report emerged, an alleged CAD image shared by mobile leaker Steve Hemmerstoffer appeared to depict the Smart Connector gone from its usual place and a new oblong indentation near the Lightning port. The cutout in today's alleged iPad case leak looks just like the indentation in the CAD render, however unlike the render this case still has still a horizontal cutout similar to where a Smart Connector currently resides on the current crop of iPad Pro models, albeit on the opposite side of the device. The image throws up a number of questions. Not least of those is how a proposed Smart Connector on the bottom of an iPad Pro would work with Apple's Smart Keyboard accessory. The relocated connector would require a new vertically oriented Smart Keyboard, but a keyboard in that orientation would presumably be unstable, especially for the larger iPad Pro, plus it would likely be unsuitable for Office-style productivity work. Mac Otakara has suggested that Apple is making the change because Face ID will work only when the iPad Pro is in a vertical orientation. However, previous information from Mac Otakara suggested Apple was working on horizontal Face ID in iOS 12 for the new iPad Pro models, which are expected to incorporate Apple's TrueDepth Camera system first introduced on the iPhone X. Commenting on the Mac Otakara report, well-connected Bloomberg reporter Mark Gurman also said the horizontal Face ID support is designed for the upcoming iPad Pro models, expected to be announced in September. But what if the new pill-shaped hollow in the alleged case image is actually for something other than a new Smart Connector, as suggested by the continuing existence of a horizontal cutout? Is it a magnetic alignment for another type of keyboard or accessory? A wireless charging contact? USB-C? The (highly unlikely) relocation of Touch ID in lieu of support for horizontal Face ID? Let us know your thoughts in the comments below.